1st appearance of Joker and Catwoman? No...! But it is the 2nd. 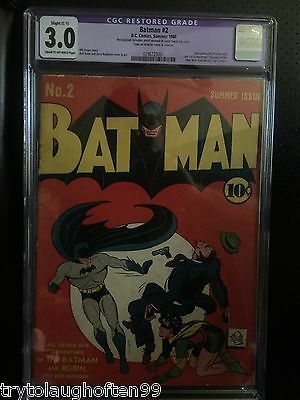 Fantastic, rare, 1940 Golden Age key Batman comic. C-1: Tape & slight (done long ago) color touch (minor). Get your Batman collection hole filled today!